Personal care from lawyers who care – this simple statement guides every aspect of our practice. At Klampe, Delehanty & Pasternak, LLC, we know that serious legal issues can impact every part of your life. 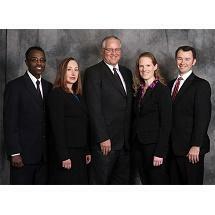 Our attorneys and staff are devoted to developing effective solutions to these issues. At the same time, we are committed to delivering responsive client service each step of the way. We care about the outcome of your case, but more importantly, we care about you. From our office in Rochester, Klampe, Delehanty & Pasternak, LLC, is proud to be Southeast Minnesota’s personal injury law firm. Since our founding in 1972, our personal injury lawyers have helped clients recover millions of dollars in compensation. Our lawyers also represent people who have suffered work injuries in workers’ compensation claims. Whether you or someone you love has sustained life-altering injuries or less serious injuries, we are committed to fighting for your legal rights to secure the resources you are entitled to for your injuries. Although the vast majority of our cases settle out of court, we are trial attorneys that take an aggressive approach to presenting your case at trial when necessary. While our firm is recognized as a leader in injury and workers’ compensation claims, we focus our attention on other areas of law as well. Specifically, we represent people involved in divorce, child custody and support disputes and other family law matters. We also provide immigration services to clients who wish to obtain visas, U.S. residency and citizenship, and family unification. Whatever your legal needs are, you can depend on us to deliver client-centered, results-oriented representation. To schedule a consultation contact our firm today.